JS and OW debate Year 1 of Obama and the Dems in control (and flailing!) 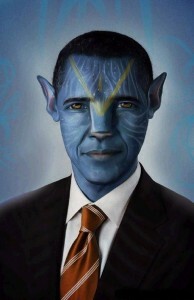 plus the politics of Avatar. (In case you’re wondering, there is no Podcast #1.1 or 2.1, etc. #3.1 = first podcast of March. I guess technically, I should have done 3.1.10 but I’ll save that for 3.2.10). Posted in: congress, movies, obama, podcasts, supreme court. Well, I just stumbled upon this site through a rather…unplanned series of clicks, and I’m glad I did. The podcast was pretty insightful and funny to boot. Oliver, I hope you do extrapolate further on the parallels between Avatar and blackface, because I think that’s a fascinating topic of discussion – maybe a future article?? And Junichi, do you really DISAGREE with the critical race argument against Avatar, or just taking it to the extreme of calling Cameron a racist? If the latter, then I understand, and I’ve attributed any apparent cultural insensitivity in the movie to the fact that this is Cameron’s brainchild from when he was a teenager. And I think he did his best to preserve his original vision. That might also explain why the overall story and dialogue were so terrible. So it’s not so much racist as it is just oblivious to the implications. As one of the people arguing for the “white man’s fantasy” interpretation, I certainly don’t regard Cameron as a racist, nor do I know of anyone who comes to that conclusion. On Obama: the speculation that he might be remembered most for the mere fact of his election I think may prove to be accurate if he doesn’t do something to distinguish himself from the “politics as usual” in Washington. He’s been so busy trying to get establish some sort of everyman’s bipartisan coalition that he’s alienating his base (at least the progressives, like me), gaining no ground with Republicans (who as you say, are against him as a political strategy), and at the same time floating to the surface the most virulent sector of the right – i.e. the Tea Party. If everyone’s going to hate him anyway, he might as well effect the “change” that he preached during the campaign – which by definition means BUCKING the status quo. Anyway, I hope you guys do this more often – it was fun to listen. Godheval: The short way to put is that Avatar shares a lot in common with the less pernicious aspects of Blackface Minstrelsy, especially the desire to occupy the skin (in this case, literally) of The Other and reject the evils of modernization in favor of the natural. Thematically, the parallels are pretty facinating. None of this is to suggest that Avatar deliberately means to play on the legacy of minstrelsy; rather, I think it’s more that these themes have become resonant in American culture partially through the popularity of minstrelsy. When you talk of the popularity of minstrelsy, are you extending the definition to include cultural appropriation? Such as the mutilation and repackaging of hip-hop? Dressing up as a Native American on Halloween? The whitewashing of The Last Airbender? Godheval: In short, yes. I think we tend to too narrowly define minstrelsy rather than understanding its broad implications both in its original 19th century era as well as its contemporary legacies. That doesn’t mean that all expressions of it are the same in terms of impact or implications but they’re still variations on the theme.